I'm trying to modify my text so that lowercase letters are uppercase letters just smaller. Is there a way to do this in Illustrator, without manually changing the font size? Yes there is such a method. You must click on the Character "link" in the tab and then you will see the text options. The option is SmallCaps. The term you're looking for is "small caps". 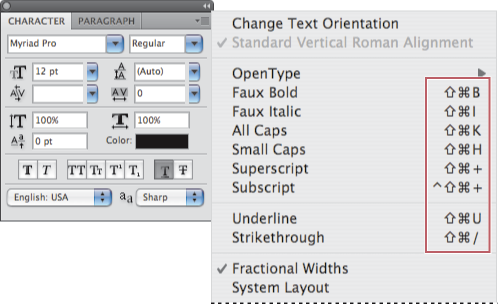 Type designers sometimes make versions of their fonts that are small caps, or have them as alternates within the regular font. Look for a "caps" or "small caps" variant of the font you want to use. 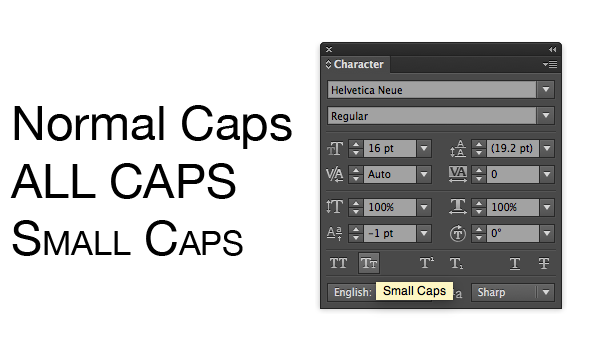 Illustrator has a Small Caps option in the Character Panel. Clicking Character next to the font selection box. Not the answer you're looking for? 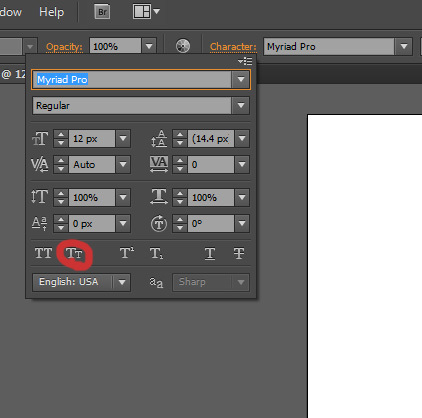 Browse other questions tagged adobe-illustrator fonts or ask your own question. (Illustrator) How to edit text that is transformed into shape of arc? How is this font displaying the same letter in different forms?